Laconia, NH. 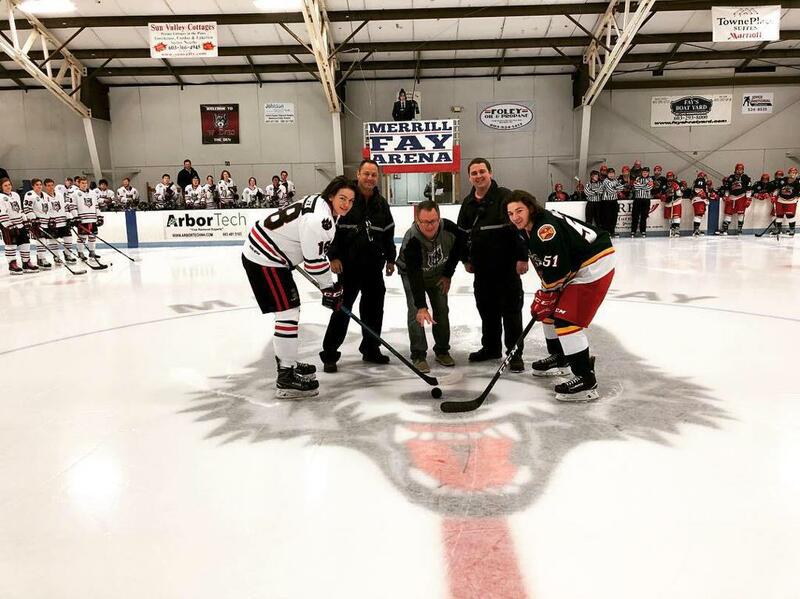 The New England Wolves EHL & EHLP teams, each playing 3 games in 3 days, each posted two wins in pivotal division games against rival Vermont Lumberjacks. 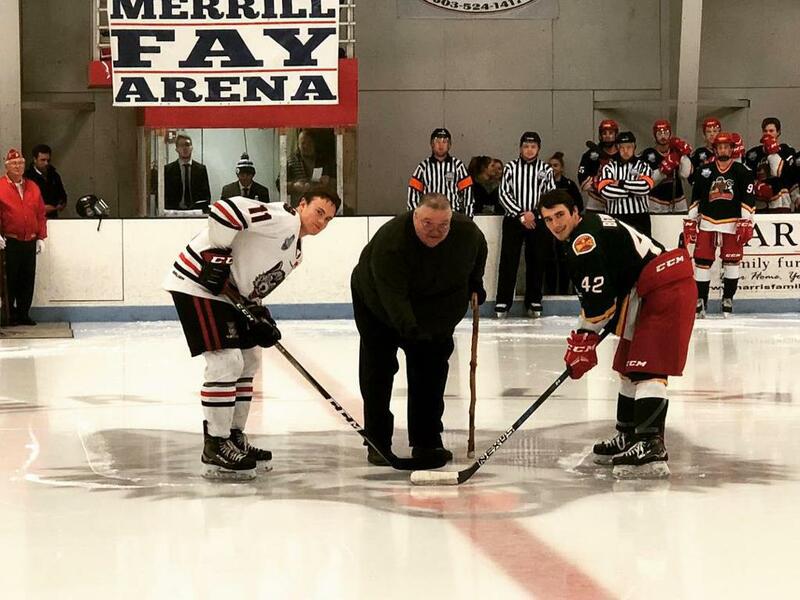 All games were played at the Merrill Fay Arena in Laconia. After losing on Friday night the Wolves EHL squad won on Saturday 5-4 and 9-6 on Sunday. Kris Muhr recorded both wins in nets and the Wolves got outstanding offensive production from Dominik Marcinkevics, DJ Schwenke, and Daniels Leja. The Wolves EHLP team won on Friday and Saturday, but lost on Sunday. Cam Isabelle and Ryan Fueg both recorded wins in net and Herberts Zeibots paced the offense. 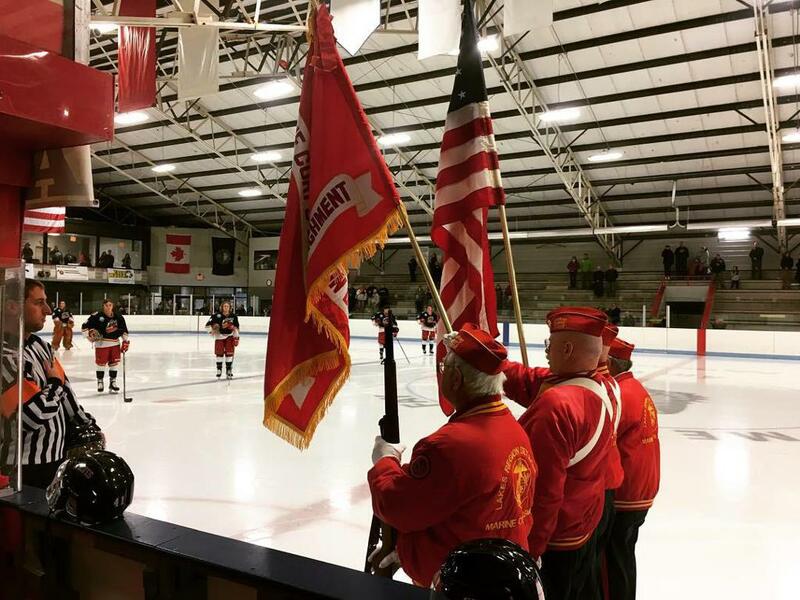 Sunday’s games were a Salute to First Responders, as the morning game honored local Police, Firemen and EMT’s and the afternoon EHL contest recognized our Military Servicemen. Proceeds were raised for the Wounded Warrior Project, Laconia Fire, VFW and Blue Lives Matter. “ Was a tough start to the weekend on Friday but the guys battled back and showed what they are capable of… still a ways to go to reach our potential but showed signs we have a good group of players and can be a good team in this league.” Said EHL Head Coach Tim Kunes. Wolves return to action with 4 games (2 at each level) this weekend in divisional games.